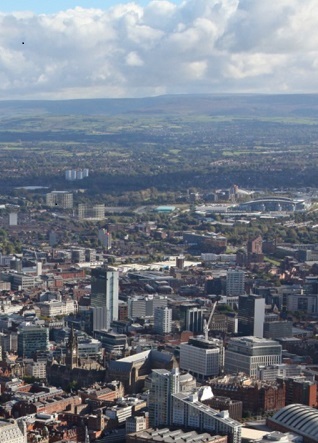 The Greater Manchester Natural Capital Investment Plan builds on the natural capital account for Greater Manchester which identified the green infrastructure assets, the benefits they provide and cost of maintain them. Traditionally investments in natural capital has drawn upon now-dwindling public sector funding and philanthropic sources. The Plan identifies ways to motivate private investments that will obtain financial returns, and enhance Greater Manchester’s natural capital. The ‘investibility’ of natural capital projects is an important concept in the plan. It means projects need to be of a sufficient size, offer predictability of revenue streams, and produce a business plan that gives confidence to investors. The Plan defines three finance models that are considered most likely to be investible: Sustainable Drainage Schemes, Place-based Trusts, and Habitat & Carbon Banking. The plan also identifies actions and makes recommendations to progress these finance models to facilitate private sector investment, and defines the role of public sector.